Another miracle of modern materials! This transparent "ghost" chair will add a touch of class, without the bulk. Use them chair indoors or out, since they're both scratch and weather resistant, but not resistant to a compliment or two from your friends. Pair up different see-through colours to brighten your space. This item is not in any way associated with the original manufacturer or designer. All in-stock furniture will be dispatched from our Montreal warehouse within 2 business days from receipt of payment. 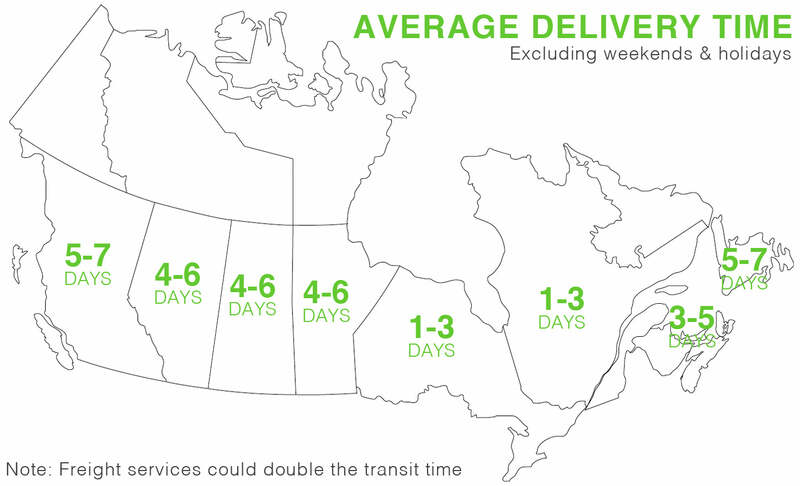 Shipping time to most large cities is between 1-5 business days. Delivery is curbside only, or to your front door. We cannot deliver items to the inside of your home or office. For special or expedited delivery needs, please contact us for a quotation.